Unexpected events and damages can occur at any time – making the insurance sector a very important one. 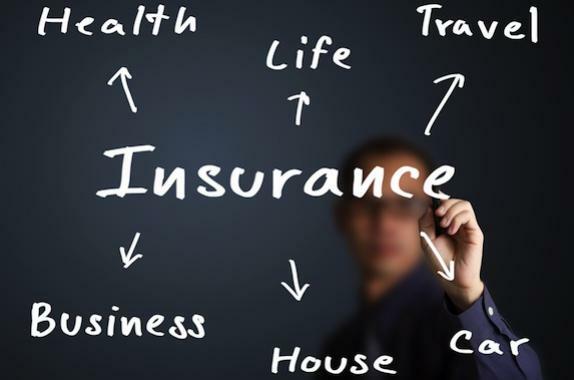 There are three main main types of Insurance that you can work within: general insurance (household, pet, motor, travel), life insurance (illness, injury, death), and commercial insurance (companies). Search and Apply for Jobs in the Insurance Sector in the UK! 1. Account Handler – Account Handlers specialize in promoting their company’s insurance policies to different brokers and financial advisers, who will then pass on word to their customers in hopes that they will buy them. You will need to build and maintain a number of professional relationships to ensure that your latest products can reach the biggest audiences. Daily duties might include setting up meetings to create new clients, monitoring and assessing sales performance, ensuring great customer service, and researching the local market to make sure you keep adding valued services to your policies while keeping it cost effective and maintaining a profit. Qualifications Needed: Though no formal qualifications are needed, it will benefit you greatly to have had previous experience in sales, marketing, or financial services, or a degree in a related subject (ie: business, economics, mathematics, etc.) Normally, you would start at an entry-level job in the insurance sector, and work your way up with training. 2. Claims Handler – Claims Handlers’ main duties are to make sure that insurance claims are handled efficiently after an incident or accident, that the correct payments are made to the policy holders, and to keep an eye out for any fraudulent activity. You will also be required to get in touch with certain tradespeople or order replacement goods for items that were lost or damaged according to certain policies (ie: carpeting after a flood, laptop from a burglary, etc), and will also need to keep organized details of needed information such as photographs, receipts, or valuations. You will ensure the fair settlement of a valid claim, adhering to legal requirements and industry regulations and making sure that the customer is also treated fairly. Qualifications Needed: Qualifications do vary from company to company, but generally some GCSE’s (A-C) in Maths, English, etc. are needed, with some places asking for A-levels or equivalent in a related field, such as Business, Accounting, or Finance, Some companies may also ask you to take an aptitude test instead of formal qualifications. 3. Claims Investigator – Claims Investigators investigate any fraudulent activity that a Claims Handler might find, to ensure that their clients are protected from fraud. Daily duties might include visiting the scene of an accident and thoroughly checking through the circumstances, as well as collecting information about the claimant’s background, and any testimonies from witnesses. Following the collection of evidence, they must report their findings to attorneys, if the case is indeed suspicious. Qualifications Needed: It all depends on who’s hiring, as training can occur for non-graduates, as can working your way up by learning in an insurance clerical role. Formal qualifications such as a degree in a related subject of business, law, economics, etc are very helpful, though not 100% required. 4. General Insurance Technician – General Insurance Technicians work with a variety of types of insurance professionals to provide important administrative support, as in the insurance sector, paperwork, reports, and research are at a higher level than average! Your main daily duties would include checking new proposal forms from customers, giving them quotes, taking down and reporting all details, checking that policies are paid, and updating all records. Qualifications Needed: Formal qualifications are not usually needed, as this can be an entry-level job, with training upon start. However, some employers look for a combination of previous experience either in insurance or customer service, and minimal GCSEs (A-C) in English, Maths, and related helpful subjects. 5. Insurance Executive – Insurance Executives make sure that their companies are following official procedures at all times, help to expand and grow their business, prepare realistic budgets and overseeing profit and loss margins, all while making sure that their company’s customer service is top of the line. Daily duties would consist of helping out mergers and acquisitions, giving technical and marketing support, liaising with all departments to ensure that everything is running smoothly, as well as visiting clients and maintaining customer satisfaction. Qualifications Needed:GCSE’s in English and Maths are normally asked for, and you can further stand out by having completed a degree or courses in a related in insurance, business, or maths. A-Levels and previous experience in the industry are also usually required. 6. Insurance Broker – Insurance Brokers act as the go-between between clients and insurance companies. They do extensive research and compare different insurance companies to find out what would be the best fit for their client based on their needs. Main duties would include marketing and acquiring new clients, maintaining relationships with existing clients and keeping them up to date with any changes in policies or legislation. You will also need to input any and all information into a computer and make sure that detailed records are kept. Qualifications Needed: Although formal qualifications are not generally needed, GCSE’s (A-C) in related subjects would be beneficial, as would be previous experience in IT or insurance. Apprenticeships are available, and you may also work your way up from a trainee or admin position as you work on gaining experience and insurance industry qualifications. 7. Insurance Consultant – Insurance Consultants make long-term financial predictions to help companies solve financial or risk issues. Using maths, statistics, and the results of in-depth market research, offer recommendations and advice. Daily duties would include researching current trends and developments in the sector, writing detailed reports, visiting clients, and both building new relationships and maintaining old ones with different companies. Qualifications Needed: You will need a degree in a relevant subject, such as insurance, business studies, or risk management, and most employers do ask for professional insurance qualifications such as the Chartered Insurance Institute (CII). 8. Pensions and Life Insurance Consultant – As a Pensions and Life Insurance Consultant, you will be in charge of handling pension schemes and life insurance policies, providing advice and information to different companies or individual clients to make sure they pick a plan that is most suitable for them. Main duties would include researching the market for up-to-date information on different policies and products, explaining this complex information to customers to help them understand, as well as keeping accurate records of the scheme and updating clients on any changes in legislation. Qualifications Needed: Formal qualifications are not generally needed, but a few GCSE’s (A-C) would be favorable. You can also enter this career through an apprenticeship. Having a strong background working in related fields such as finance or sales would also help you to get this career. 9. Risk Analyst – Risk Analysts survey different items, properties, and sites to determine the financial possible risk. There are four main areas which you would normally specialize in: fire, accidents and liability, engineering assurance, and burglary and theft. Main duties would include assessing the risks, keeping records of these risks with photographic evidence, advise clients, and make sure that companies have implemented the risk management strategies to minimize the chances of them occurring. You would also work closely with Underwriters to help them decide the terms and conditions of each insurance policy. Qualifications Needed:Because this career is not normally an entry-level job, some qualifications are needed. Often, a 2:1 degree in a related field is asked for, including risk management, insurance, business studies, building surveying, engineering, etc. Most Risk Analysts gain experience in another job within the Insurance sector first, such as being an Underwriter. 10. Underwriter – An Underwriter decides which applicants should be approved for their insurance coverage, and also decide what the terms of the contract will be. You will assess risks according to the likelihood of a claim, as the main goal is to minimize losses for their company and help to create a profit. To do so, you need to gather extensive background information on the clients, liaise with different specialists and how much the insurance policy should be. You will also be in charge of drafting up the contracts, negotiating the terms and prices, and keeping accurate records of the coverage. Qualifications Needed: Although no formal qualifications are needed, previous work in the insurance field or having a degree in related subjects (business, management, law, etc.) would greatly improve your chances of landing a job opportunity. Many companies offer internships as well. Search and Apply for Insurance Sector Jobs in the UK! This entry was posted in General Posts and tagged account handler, claims handler, claims investigator, general insurance technician, insurance, insurance advisor, insurance broker, insurance claims, insurance consultant, insurance executive, insurance industry, insurance sector, job description, job search, Job Search UK, job seeking, job seeking uk, life insurance, pensions, risk analyst, top ten, underwriter. Bookmark the permalink.